SCOPE/OLYMPIA is an International exchange program that brings together Canadian Scouts from around the GTA and American Scouts from Philadelphia, Pennsylvania for an extended weekend of fun and friendship. The program began in 1967 when the Canadians visited the Baden-Powell District and have continued on a 4-year cycle for the past 50 years. 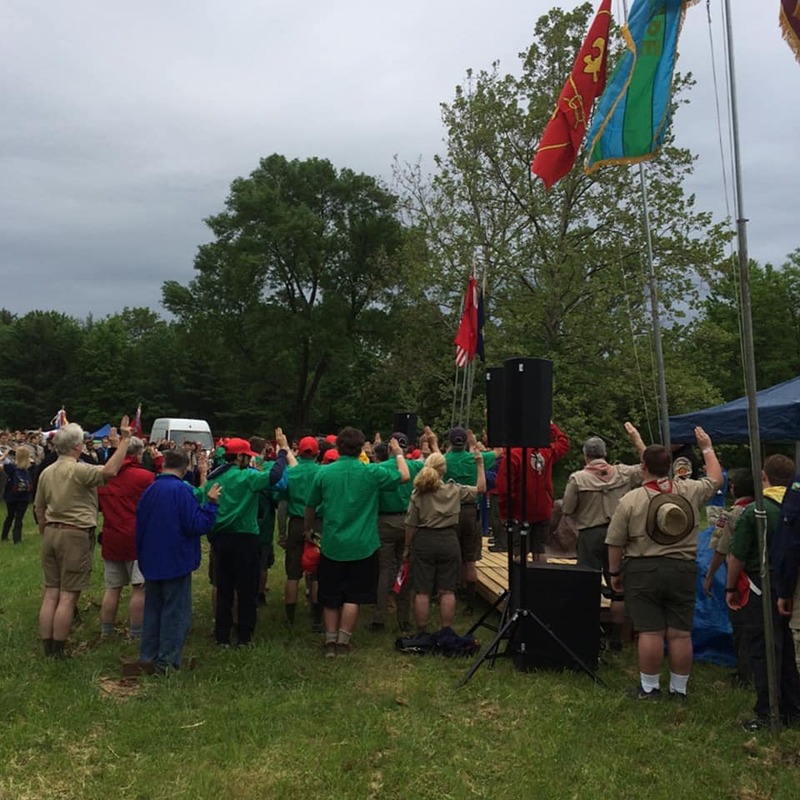 In May of 2019, the American Scouts and adults will be visiting the Canadian Scouts at Camp Woodland Trails. The format of SCOPE will be different than in past years, as we will not be providing home hosting. The American contingent will arrive on Thursday evening, May 23rd, and go straight to Camp Woodland Trails. After dinner (U.S. Contingent only), the U.S. Scouts will be greeted by Canadian Scouts and will camp in tents with your Troop. On Friday, the American and the Canadian Scouts will be visiting Toronto for the day. Saturday and Sunday will be filled with fun and challenging activities for everyone. On Sunday, We will break camp and after camp closing, the Canadian Scouts will say goodbye to our U.S. guests. The American contingent will spend one more night at camp in cabins with a small contingent of Canadian Scouters and will return home early Monday morning. DON'T MISS THE FUN... COME TO SCOPE 2019!